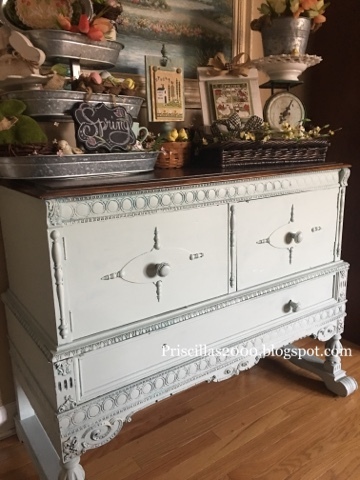 I have this vintage buffet that resides in my family room.. 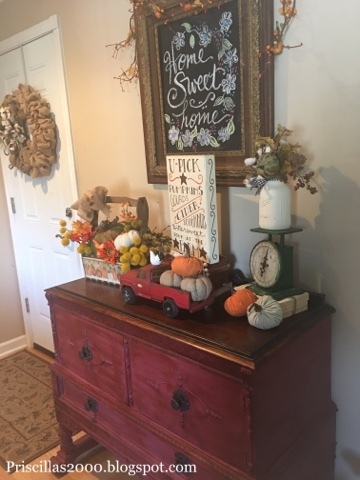 It always has seasonal vignettes on it and it has been painted 3 times since I have had it. I found it at an estate sale for around 25 dollars. First we painted it dark aqua..
My neighbor gave me a bunch of old trucks for the grandsons but that red pickup had to come in the house ! Love it! 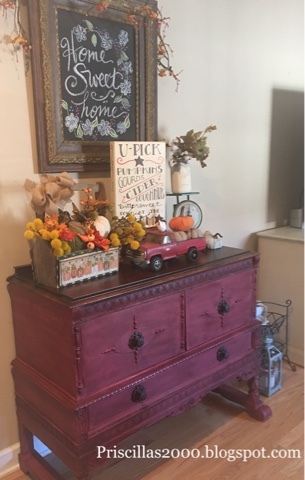 It is like a barn door red not so maroon as the photos look ( probably the lighting) My daughter painted it for me on Monday and then dark waxed it. Love, love, love it! 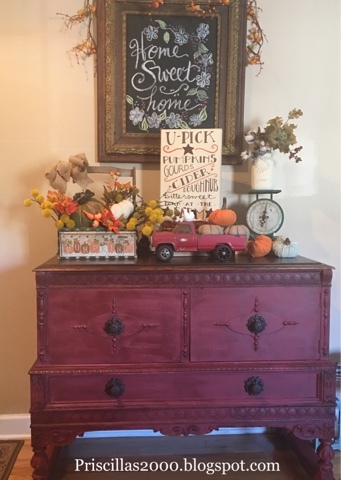 The paint is Rust-o-Leum chalk paint in Crimson with Annie Sloan Dark Wax.. I got new knobs at Hobby Lobby ..Look at them ..They are fabulous! I need to pick a wall color and get to painting.. and if you see any dust bunnies ..look away ! LOL! 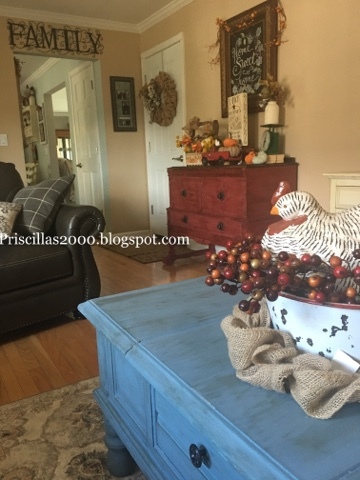 This last photo is more representative of the barn red color.. Love the color! How do you find the time to create such lovelies? I so enjoy seeing your chalkboards and needlework. I wish I not only had the time but the good eyes still. BEAUTIFUL displays.